The dry plain all around you is studded with countless monumental structures. The red bricks of the crumbling edifices contrast sharply with the bright blue sky. The arid land reflects the power of the unsheathed sun, exposing you to visible waves of heat that blur the air around you. The trees offer little respite from the relentless solar barrage, but your cart driver ties his horse under one and lets you off to explore a vast building, the threshold of which you now stand by. From across the plain, you could see the structure for miles before you actually arrived at its gates. Although in no small state of ruin, the gates seem impossibly large. They look as if they were designed with larger beings in mind. Standing between the two walls of brick that line either side of the gate, you feel like Jack having climbed the beanstalk to the castle of the giant. Stepping through and depositing your shoes, you stand in the enclosure, the path forward lined by hawker stalls. 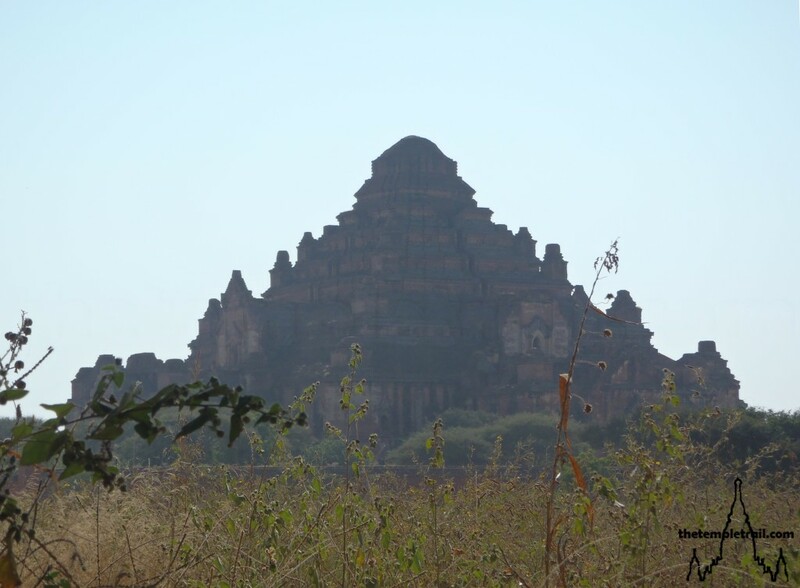 Before you is the enormous pyramidal-like Dhammayangyi Pahto, the largest building on the plain of Bagan. The story behind the behemoth is one of extreme violence. 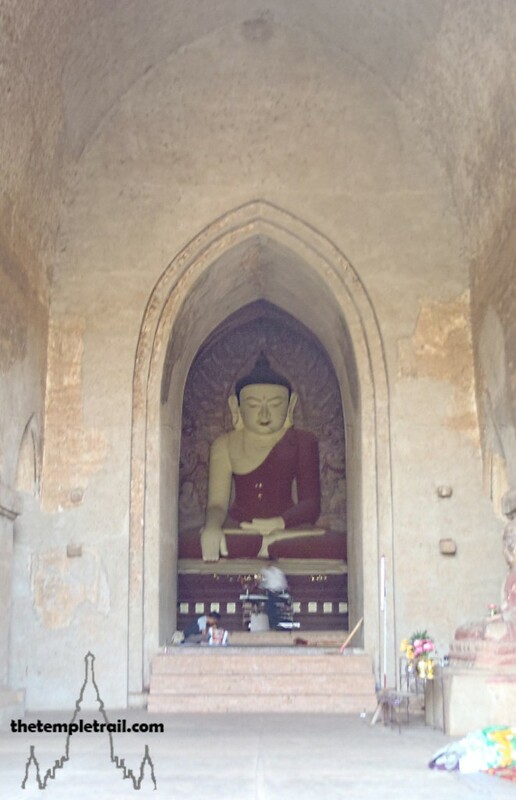 Built between 1167 and 1170 AD, Dhammayangyi is the legacy of one of the most bloodthirsty kings in Burmese history. 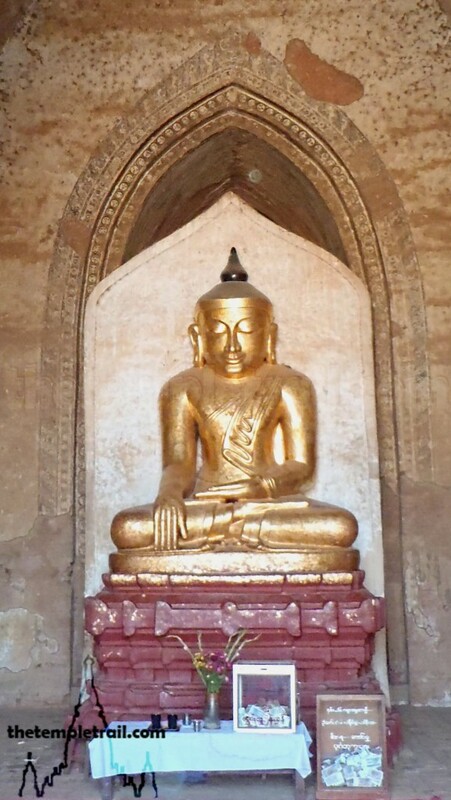 King Narathu is remembered for being a cruel ruler who dragged down the reputation of the Kingdom of Bagan. His father, Alaungsithu, was a popular and pious king who increased the wealth of the kingdom. He built many temples during his successful reign. His favourite, Shwegugyi Guphaya, was where he was murdered by his own son; Narathu. Narathu moved his sick father to Shwegugyi and then smothered him. After dispatching him, he then poisoned his elder brother, Min Shin Saw, immediately after his consecration ceremony. The devious and wicked Narathu claimed the throne and became the king. Alaungsithu was later deified as one of the 37 Great Nats (Devas or spirits) called Min Sithu. As for the treacherous Narathu: he was assassinated four years after his ascension by mercenaries sent by the chief of Pateikkaya, in modern day West Bengal. The daughter of the chief of Pateikkaya, Pe-thida, was sent as a tribute to Alaungsithu and eventually became a queen of Narathu. The wicked king strangled the Indian princess for conducting Hindu rituals and incurred the wrath of the Pateikkaya chief. Eight assassins dressed as Brahmins gained an audience with the king and then killed him before committing suicide. This earned the king his name Kalagya Min (King Killed by Indians). To atone for his evil deeds, Narathu had started construction of Dhammayangyi Pahto. His hopes for karmic salvation may never have been realised, as his life was possibly taken before its completion. 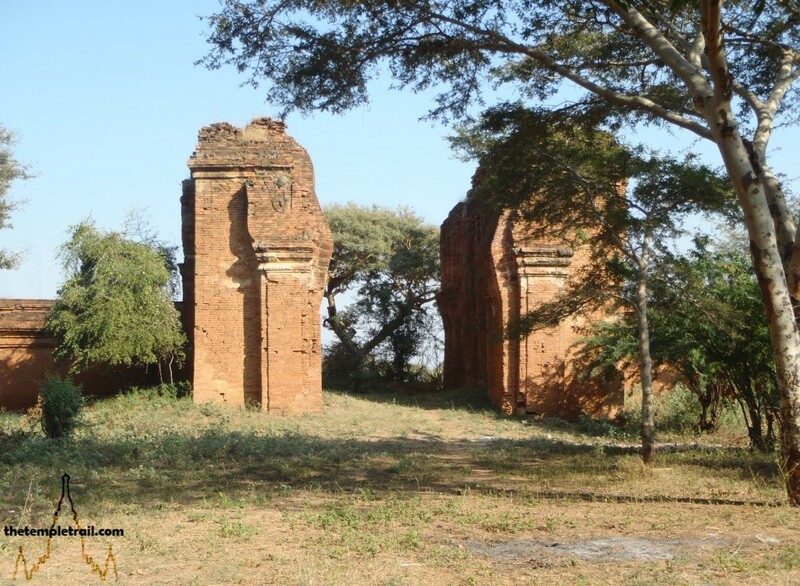 The temple was neglected and parts blocked off during the reign of his eldest son, Naratheinkha. As you pass the enthusiastic knick-knack sellers and approach the temple, you immediately note the exquisite brickwork. 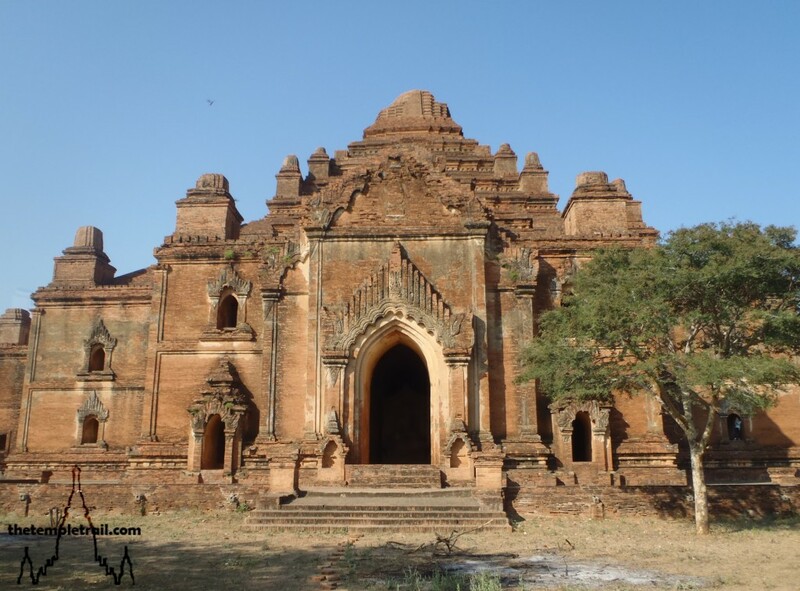 Legend has it that the reason for Dhammayangyi having the best masonry and brick-laying in Bagan is due to the King’s cruel methods. It is said that even a pin cannot penetrate the gaps between the bricks and if it could, the mason would be executed. Whether this is the truth or not, you stop and appreciate the advanced technique used by skilled artisans. The bricks, laid with only a mortar of mud, appear as if they are one solid piece. 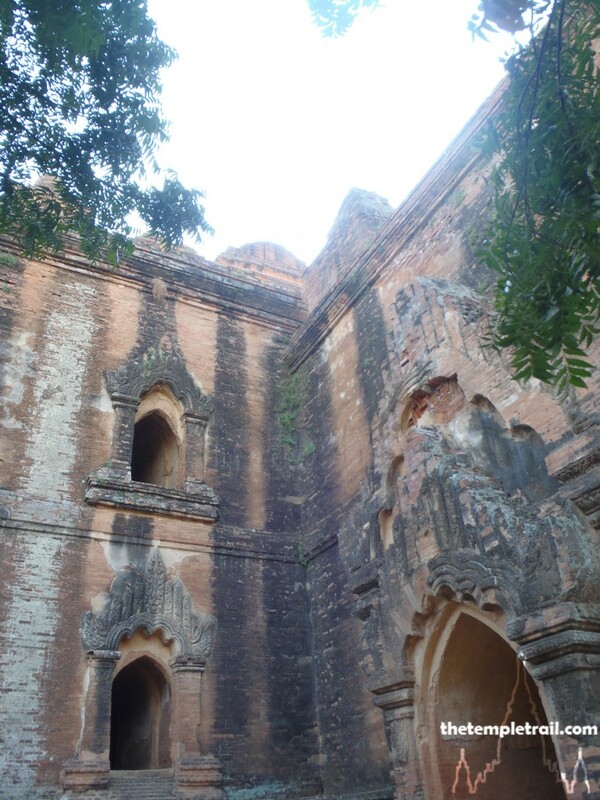 The integrity of the bricklayers, which can be seen even in the enclosure wall, has been proven by Dhammayangyi’s survival of several earthquakes. As you stand next to the structure, the old saying echoes through your mind: Massiveness that is Dhammyan, Loftiness that is Thatbinnyu, Grace that is Ananda. Dhammayangyi certainly lives up to its reputation for scale. The temple was known as Dhammyan at the time and its name means The Light of Buddha’s Teaching. Gyi means great; an indicator of its size. Although it may not have been completed, the stucco-work and murals in various places within the temple suggest that it could have been and was used for many years after. From the outside, you see the six crowning receding terraces and collapsed Sikhara (North-Indian-style roof tower). 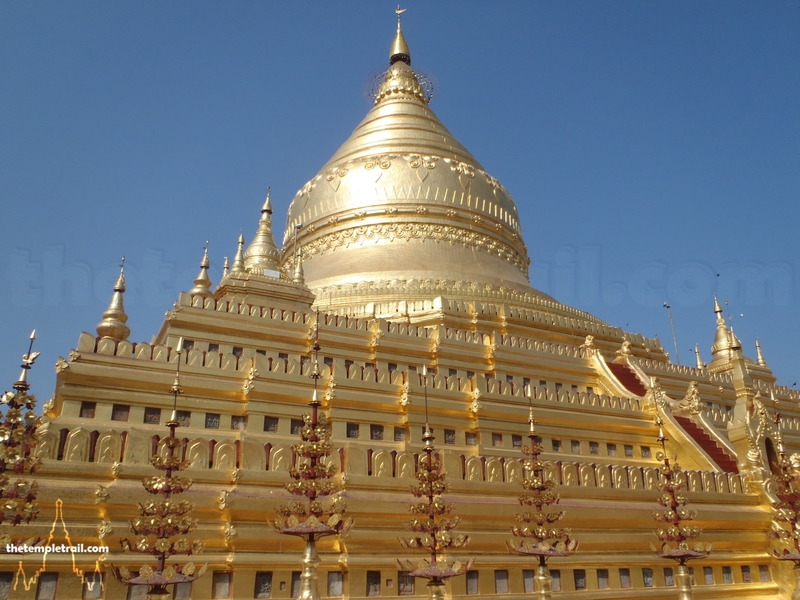 Although it does look very much like a pyramid, the temple takes after the Ananda Guphaya built by Narathu’s grandfather, the legendary King Kyanzittha. After admiring the exterior, you finally step foot into the imposing structure. Your eyes adjust to the darkened space within. Passing through the entry porch, you now stand in the eastern devotional hall before a painted Buddha statue. The statue is hewn from a single piece of stone and is stylistically more like those made in the time of Narathu’s great-grandfather, Anawrahta, the founder of Bagan. A staircase in the hall leads to the terraces above. These are now inaccessible in order to preserve the building’s and visitors’ lives. Here you can see the only open side of the structure. The temple is made in the guphaya cave-style and originally had two circumambulatory corridors. Almost the entirety of the inner of these passages was filled with rubble and blocked off, as were its entrances and light wells. The shrine halls were all blocked off as well, with the exception of the one you stand before. Many theories have been put forward as to why this happened. It was certainly contemporary with the construction, as the bricks and brickwork on the sealing walls are the same as the rest of the building. Locals say that there may be a great treasure hidden within, or that the ghost of Narathu is contained in the old passages. One story states that the workers who were treated so harshly by the king filled the corridors with debris to avenge themselves, or that the king himself ordered it done as penance for his wicked ways. It could also be that the structure was too heavy and that the halls and inner corridor presented a structural weakness that need to be plugged. Whatever the reason, you now find your route inwards blocked and you begin to circle the open outer corridor. The gargantuan vaulted corridor has traces of frescoes and the soft lighting from the light wells illuminates the atmospheric walkway. 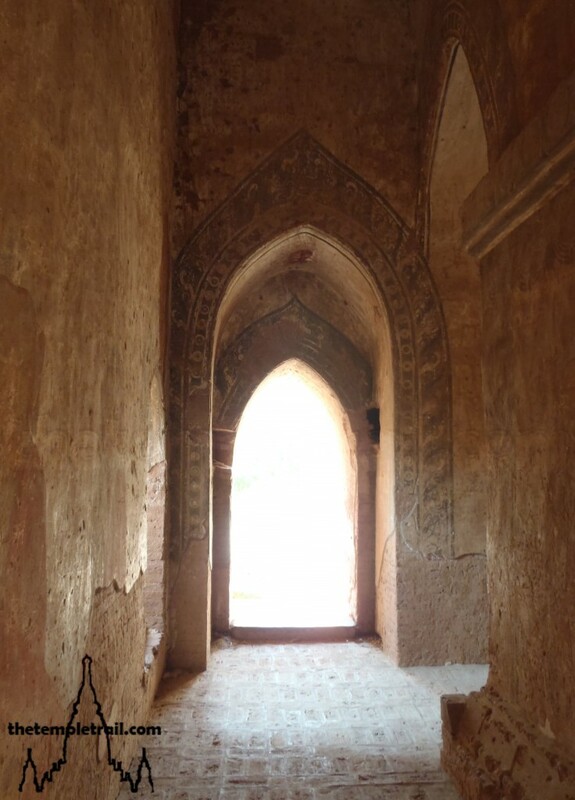 You pass bricked up archways as you navigate around the temple. As you arrive at the first cardinal direction, you once more stand in an entrance porch. Three of the four porches of Dhammayangyi act as shrine halls, since the hall behind each of them is blocked off. 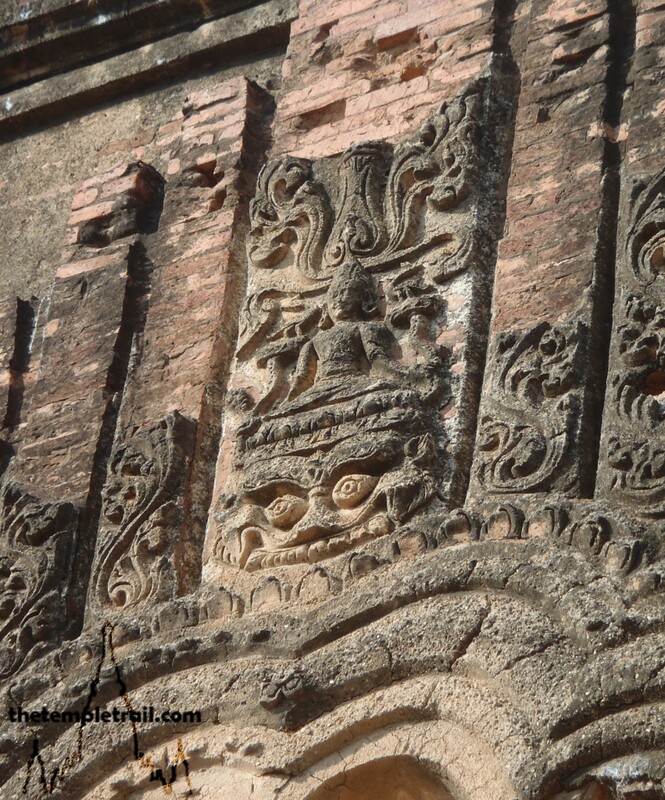 It is a matter of speculation whether large Buddha images lie buried behind the sealed arches. In front of this arch is a golden Buddha statue in the earth witnessing posture. The ancient statue shows that as soon as the inner part of the temple was sealed, worshippers began to use the outer section. Continuing around, you arrive at the western side. Here, the hall contains an interesting pair of statues. 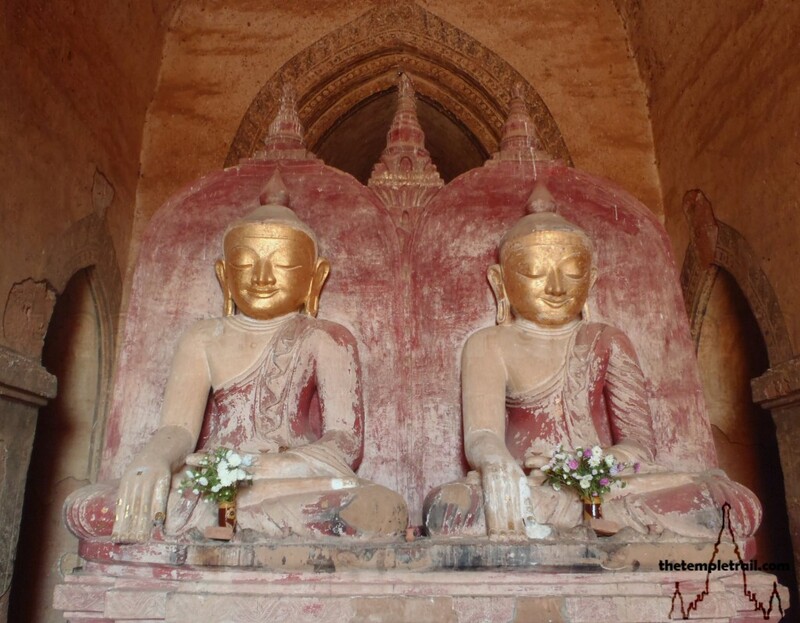 Side by side, the golden-faced figures of Gautama (the historical Buddha) and Maitreya (the future Buddha) gaze down serenely in a meditative state. Standing before the red-robed pair, you take a few moments to take in the serenity of the space. It is hard to imagine the violence and bloodshed of the temple’s origins. Alone in this darkened hall, you feel the immediacy of the present moment and the past becomes irrelevant. Even the mystery of what the real hall, bricked off behind the statues, holds has no importance. The figures have a peaceful aura that permeates your very core. After a short while, you rouse yourself and complete the circuit. As you burst forth into the sun, you walk barefooted past the eager locals who wish you to buy a painting or book. On the outer terrace of the temple, you decide to circle the exterior. Taking in the brickwork and carvings, you marvel at the craftsmanship. The collapsed archways of entrance gates on the outer wall provide windows to overgrown wilderness beyond. The illusion of order within the grounds is wonderfully off-set by the chaos of nature outside. As you retrieve your shoes and exit the grounds, you stroll back towards your waiting cart. 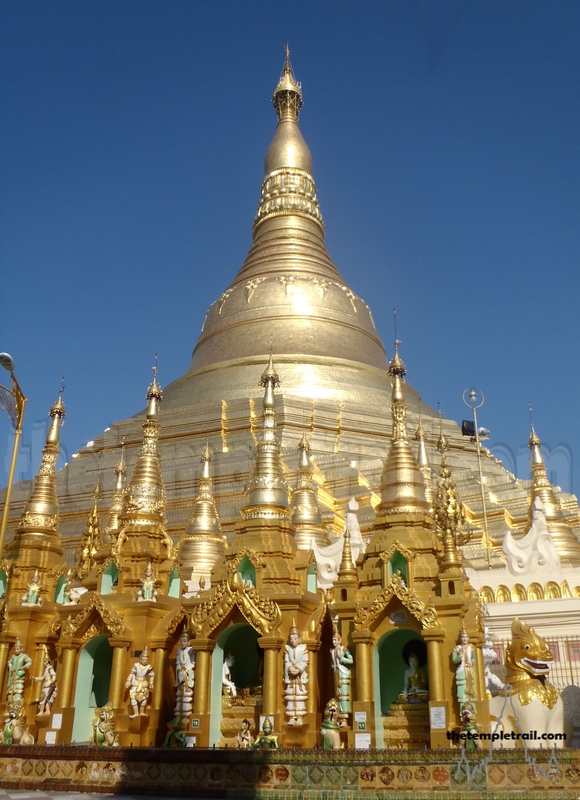 Violence has always been a part of Burmese history; from ancient kings, the Victorian British expedition and finally through events of the twentieth century. Here, in this tranquil environment, you feel that there is the chance for peace. In the cart, as Dhammayangyi dwindles into the distance, you observe that it never fades totally from your view. On the Bagan plain, it is never really out of the picture; Massiveness that is Dhammayan. Dhamayangyi or Dhamaranthi temple was not built in King Narathu’s time 91168-71) but in his father reign most propably1162 when king Alaung sithu was at the age of 74 yers old. At that time the old king must be rather inactive and Pagan palce was much after the tyrent prince Narathu who came out to limelight after his capable brother Min Shinsaw was vanished. The old king want to built a messive temple larger than Ananda temple to house a largest Buddha image in pagan so the temple must be roofed by curved brick roof about 25m across, a very dangerous structural construction. needing precise brick shaping. Zelous Narathu the project manager wanted to please the king so he pused the works using many Mon technicians and slaves.. It was nearly completed in 1165, and king’s daughter Kyaung Dor The make merrit 127 slaves to this temple and her daughter recorded it in kyauk-sar . But before the roof was completed or locked, Narathu pushed technicians to built top structures puttinh weigh on curved uncompleted roog and thus whole top collasped. ,Being afraid of the wrath of his father, he confined him in the palace, and then killed him. The funal closing of tragic inner part is most propably by Narapati Sithu. That is what I think really happened. Thank you for your insights! Your information is not only interesting, but also shows a great depth of knowledge. I always welcome wonderful comments like this on The Temple Trail! If you ever have any more information about the temples in Bagan, or anywhere else in Myanmar, please feel free to share it on this website. Thank you for your support and I hope to read more comments from you in the future.